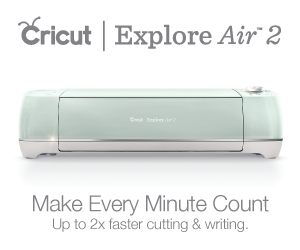 Has anyone out there seen all of the fun monogramming and other vinyl projects you could do with the Cricut, but never tried them because it looked intimidating? That was definitely me until last week! It is so much easier than I anticipated - and super fun! I did not take pictures along the way, but will do my best to explain the steps. I will definitely post step-by-step photos next time I go through the process! You will need a Cricut machine, blade, mat, vinyl (I just used the standard Cricut vinyl), transfer tape (I will explain! ), weeding tool (I will explain this too!) and a mug/water bottle! Don’t worry - I’ve linked it all at the end of this post! Design your monogram in Cricut Design Space (this software is free, so you can feel to mess around with it even if you don’t yet have a Cricut!) Okay, so I will explain how I did mine in a separate post. I wanted to use a free font, so it took some maneuvering. Otherwise, you can purchase .svg monogram files on Etsy or other places and use those! Or just manipulate an existing font to make the outer letters smaller, and the middle letter larger. You will want the monogram to be structured as First Initial, Last Initial (larger in the center - mine was 2”), then Middle Initial. If you are doing a married couple’s monogram, it will be Wife’s initial on the left, Last initial in the middle, and Husband’s initial on the right. Now that your monogram is designed in Cricut Design Space, you can get your vinyl ready! I used the standard grip mat for my Cricut (the green one) and put vinyl onto the mat (I just cut out enough vinyl to fit the monogram). I set my Cricut to the “vinyl” setting (I have the old version so this could be different on newer versions - I will research). Then basically you are ready to cut! Feed the mat into the machine, click the “load” arrow button, and let the software know you are ready to go! 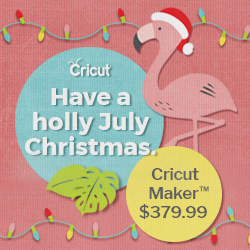 Then hit the flashing Cricut button and watch the magic happen! Note that this method should only cut through the actual vinyl and NOT through the paper backing. This is called the kiss method. Now that the vinyl is cut, you will need to “weed” out all of the excess pieces that are surrounding your monogram. You will use your weeding tool for this. This weeding tool basically looks like one of those picks that a dentist uses (sorry - but they do.) You will shove the weeding tool through the vinyl layer in an area that is “scrap” and pull that vinyl off so when all is said and done, you should have your beautiful monogram sitting on the paper backing and nothing else. Once the weeding is complete, you are ready to transfer the monogram onto your end-surface (in my case a cute Kate Spade water bottle - I will link similar below). This is where the transfer tape comes into play. Cut out a piece of your transfer tape that will cover your monogram. Take off the white paper backing, so that you just have the clear piece with lines on. You need to put this transfer tape ONTO the monogram. Start in the middle if you can picture that and start to press it down moving outward. You can buy fancy tools to help press it down, but I just used my fingers. Try to press it down very hard and also try to do so without creating bubbles. You now should have a vinyl monogram that is still on it’s paper backing, that is then covered in transfer tape. You now want to gently start to peel up the transfer tape starting in one corner. The goal here is to have the monogram come off of the paper backing and “Transfer” onto your transfer tape! If the monogram isn’t coming up, just press the transfer tape back down and rub some more to get the tap firmly sticking to the monogram. Once you have successfully used the transfer tape to peel up the monogram, you can now apply to your water bottle or other surface! Use the same methodology that you did when pushing down the transfer tape - start in the middle and work your way out. Water Bottle - Kate Spade or S’well are cute!